Since 1998, Peterson of Dublin has released a special, limited edition St. Patrick's Day pipe each year, featuring many of the brand's most popular designs, finished in a singular style unique to that edition. 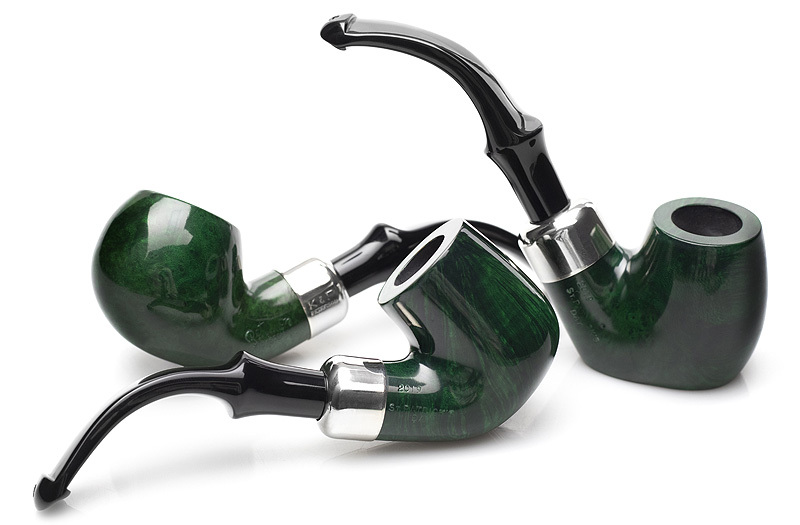 2019's St. Patrick's pipe is the first to feature Peterson's famed System engineering, a unique combination of higher draft hole and deep moisture well that promotes a gurgle free smoke. Available in nine fan-favorite shapes, split between fishtail and p-lip bits and finished in a deep, emerald green stain, it’s the perfect addition to the annual, limited edition line, and a testament to Peterson’s Irish heritage and tradition.